(W) Gail Simone, Jim Zub (A) Dan Panosian (CA) Dan Panosian, Dave Stewart. Gail Simone teams with Jim Zub to bring together legendary warriors in this truly epic crossover! 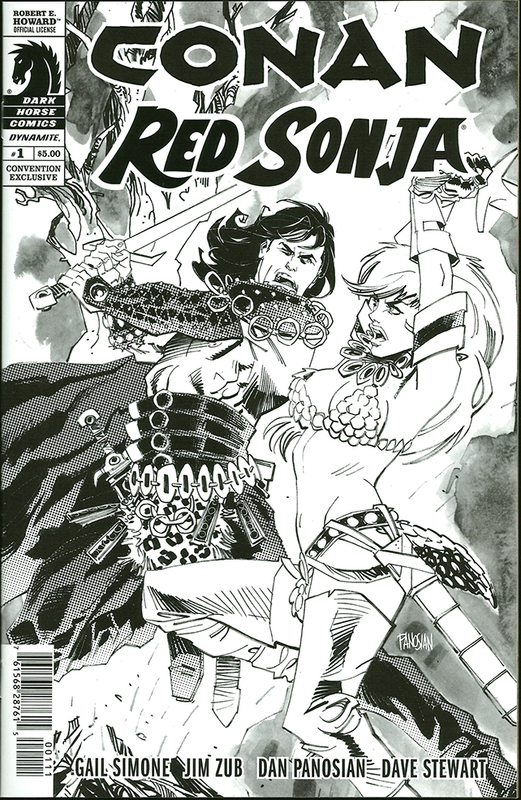 In a story spanning multiple eras in the lives of these classic characters, Conan and Red Sonja become comrades to take down a sorcerer-priest hell bent on creating a dark new age in Hyborian warfare!.